The English Department is going from strength to strength this year. As well as continually developing the library as a reading space, there have been a number of trips and changes of scenery to bring the written word alive. 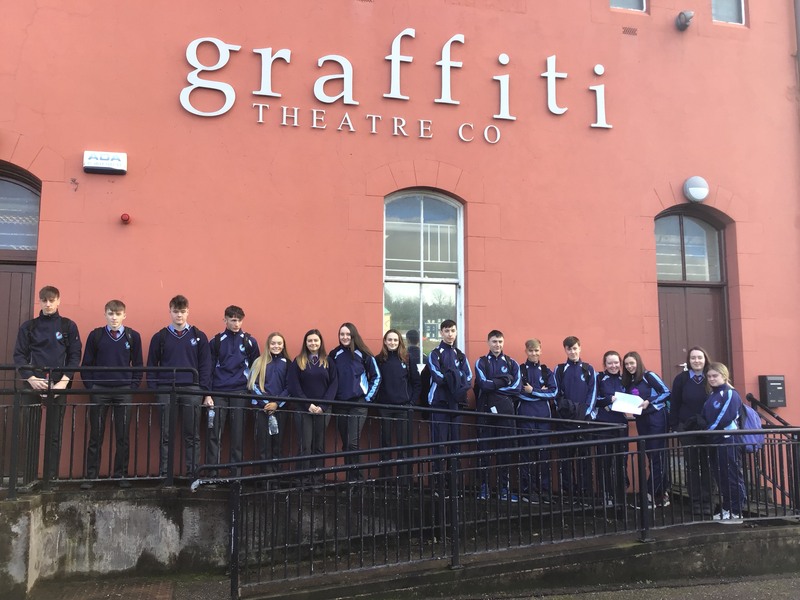 First of all, the first and fourth years of attended workshops in Graffiti Theatre this year titled ‘Fighting Words’. 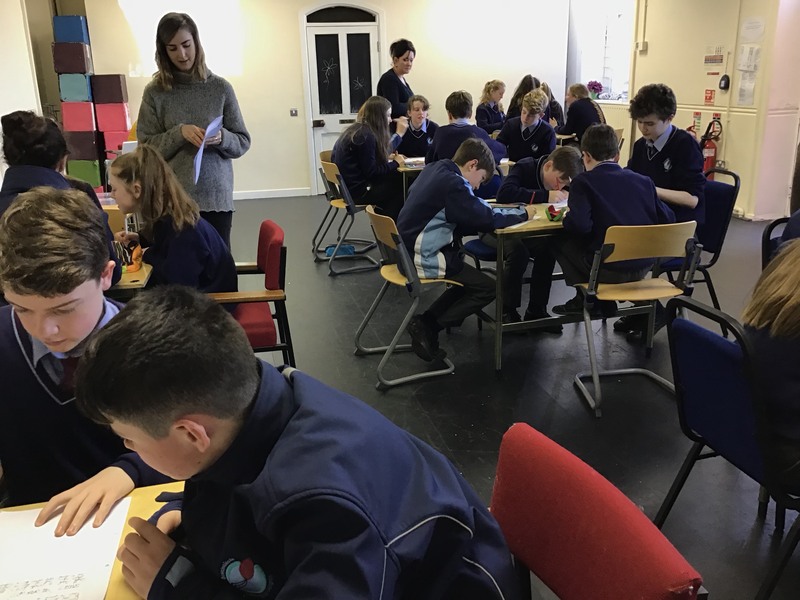 These workshops have focused on creative writing. 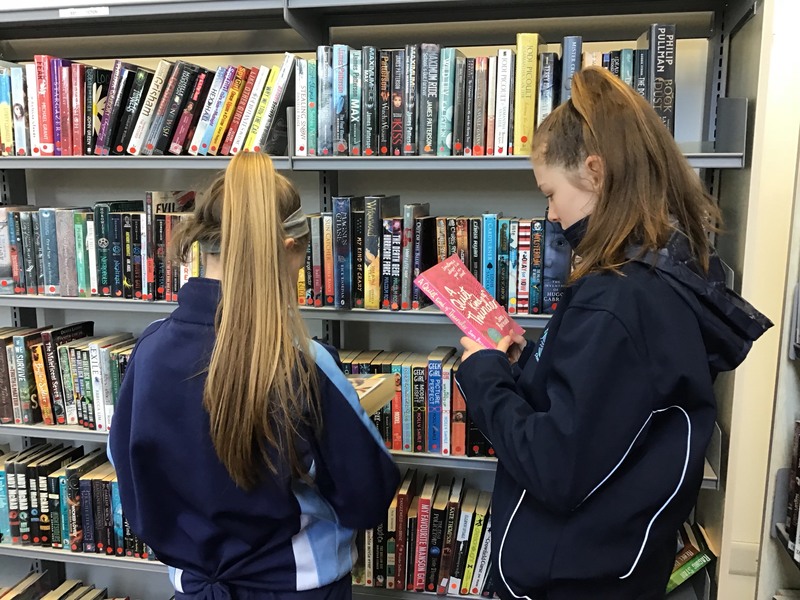 The school also participated in Drop Everything and Read on World Book Day, while the first years had a trip to Carrigaline Library. Furthermore, the third have been to the theatre twice this year! 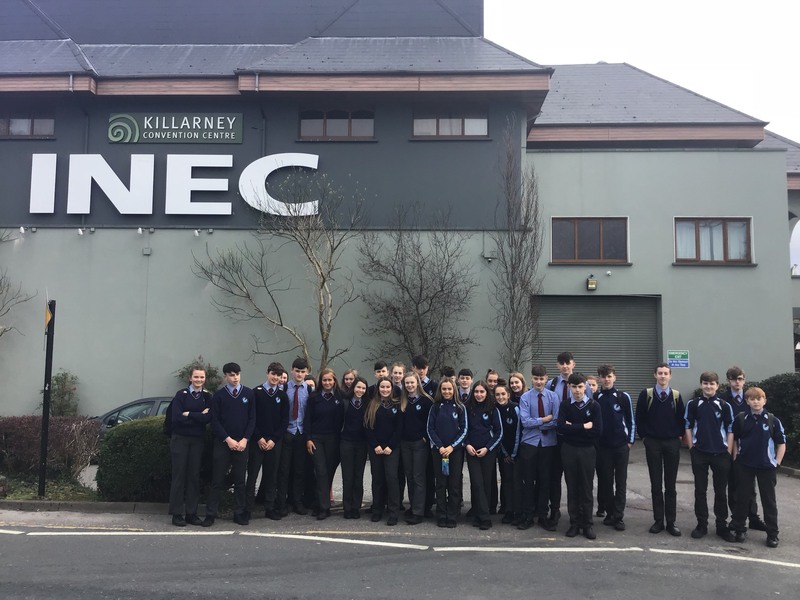 First to see ‘Romeo & Juliet’ in the Everyman Theatre and most recently they travelled to the INEC, Killarney, to see the play ‘Blood Brothers’.